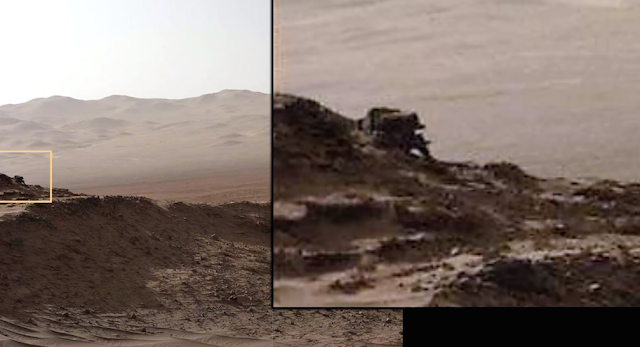 UFO SIGHTINGS DAILY: Large Creature Moving On Mars In Rover Photos, March 2016, Video, UFO Sighting News. 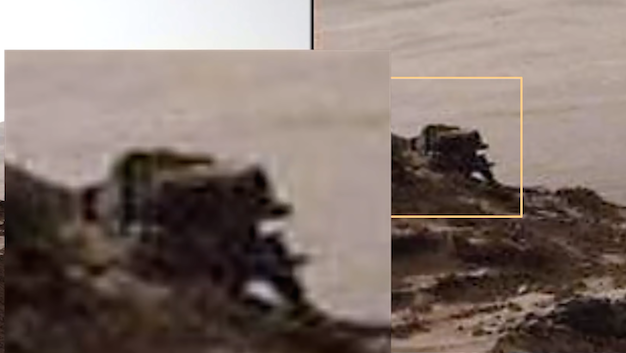 Large Creature Moving On Mars In Rover Photos, March 2016, Video, UFO Sighting News. 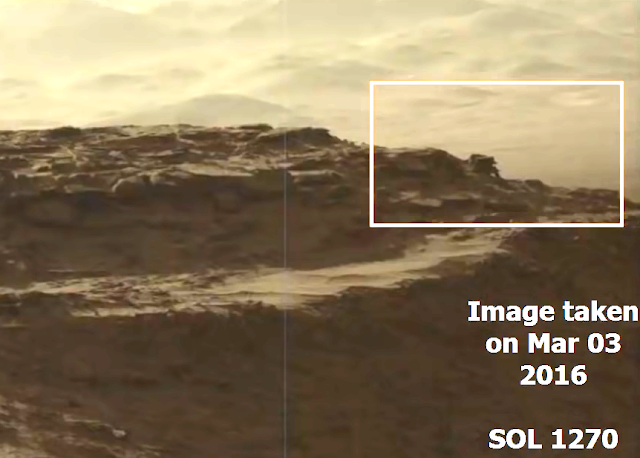 This object on Mars looks like some kind of robot with legs. It was found by Frank Van Ash of Youtube and appears to be in one to photos, but gone in the other two. The object has colors that match its surroundings. It makes sense, since the Curiosity rovers metal wheels have many silver dollar size holes in each. Having legs to move a rover around might be much better at climbing the hills of the area. Great catch.